Freedom Week is an annual, one-week seminar which teaches students about classical liberal, free market, neoliberal and liberal perspectives on economics, politics, history and society. It is open to over-18s who are currently attending or about to start university. The week is entirely free to attend: there is no charge whatsoever for accommodation, food, tuition or materials. Freedom Week 2019 will be held from Monday 12th to Saturday 17th August. Spend a week in one of Britain's most beautiful towns, go punting, see the architecture and the mechanical clock, eat at the market, and visit its traditional pubs. Meet dozens of like-minded students also interested in liberal perspectives on economics, political science, history and society. Receive lectures and instruction from the crème de la crème of classical liberal academia as well as staff of the two leading free market think tanks in Westminster. Freedom Week is aimed at students who have an interest in—yet are relatively new to—classical liberal ideas. Freedom Week 2019 will be held from 12 - 17 August. Freedom Week is attended by thirty students every year, most of whom are undergraduates. Several lecturers will also stay the entire week, making it easy to have discussions or ask questions in a social context. How much does Freedom Week cost? Freedom Week is entirely free for the students. Lunch, dinner, and single-occupancy accommodation in the College are provided free of charge to all participants. No. Students are responsible for making their own way to and from Cambridge. You must have the legal right to be in the UK and arrange this yourself. The application process for Freedom Week is very competitive, and unfortunately many applicants have to be turned away. But if you are talented and enthusiastic, please don’t let that stop you from applying. It is to your advantage to apply early, as participants are selected as and when applications come in. How many hours of lectures are there on each day? The timetable for 2019 has not yet been finalized, but last year there were roughly 6 hours of lectures most days, and 3 hours of lectures on Wednesday. Is Freedom Week party political? No – Freedom Week has no ties to any political party, and does not exist to serve any party political agenda. It is more concerned with ideas, principles and theories than it is with politicians and current affairs. What is expected of Freedom Week participants? 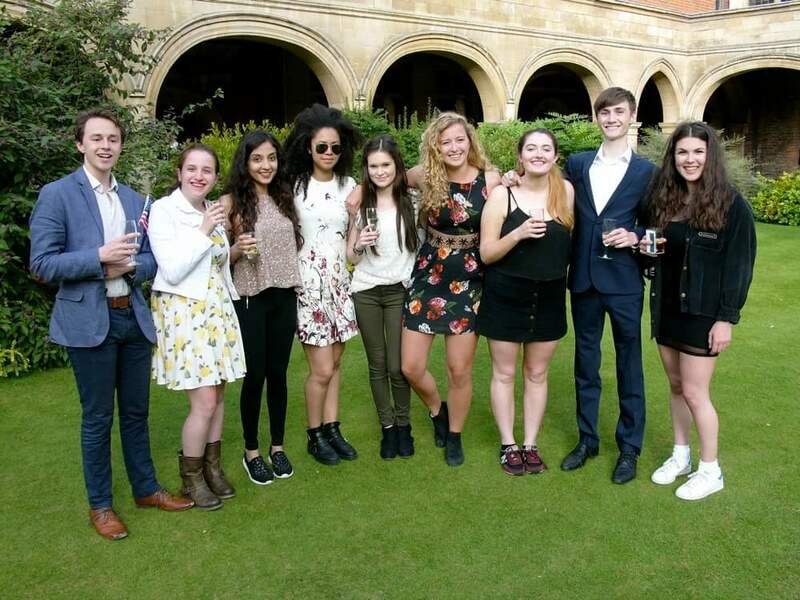 Freedom Week participants are to arrive at Sidney Sussex College by midday on Monday 12 August, and to remain in Cambridge for the duration of the seminar. No exceptions will be made. While in Cambridge, participants must attend all lectures and evening meals. It will finish on the afternoon of Saturday 17 August. Do I need to have studied economics or politics? No. There are no particular academic requirements for Freedom Week participants. We only ask that people be enthusiastic to learn about classical liberalism and free market economics. Should I do any reading / preparation? There is no reading list you must complete before attending Freedom Week. 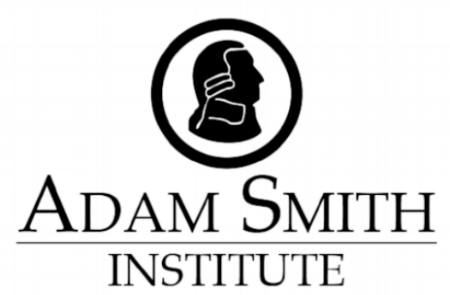 However, should you wish to familiarize yourself with some of the ideas and concepts that will be discussed at Freedom Week, the Adam Smith Institute’s A Beginner’s Guide to Liberty is available for free download here. You may also benefit from reading Classical Liberalism: A Primer and Foundations of a Free Society, both published by the Institute of Economic Affairs. Freedom Week is a joint project of the Institute of Economic Affairs and the Adam Smith Institute. It aims to promote liberal thinking amongst young people who show great potential as future influencers and opinion formers. The IEA was founded in 1945 by Sir Anthony Fisher, after a discussion with the legendary economist Friedrich Hayek. The IEA is, in the words of Andrew Marr, "undoubtedly the most influential think tank in modern British history". The ASI is Britain's leading neoliberal think tank. It was founded by Madsen Pirie and Eamonn Butler in 1977. It is one of the world's leading think tanks, ranked 2nd in the world among Domestic Economic Policy think tanks by the University of Pennsylvania. "Freedom Week was one of the most fun and intellectually stimulating experiences of my life. It is an amazing opportunity to learn about liberal ideas and develop one’s views to a greater depth. Days were filled with interesting lectures on a broad range of economic, political and social topics, from the gender pay gap, immigration, civil society to liberalising prostitution! By the end of the week, I became much more confident in discussing my beliefs and passionate about learning more. "Freedom Week was the most enjoyable experience of my summer. It was a real privilege to hear from such well-read academics; and to have close contact with them to discuss and ask questions about their work and findings. The talks were all eye-opening and, importantly, made me think about how I think and what I believe. I really enjoyed discussing and debating some of the most pressing issues of our times with like-minded peers: one of the real treasures of the programme was that we all came from a variety of backgrounds, some of us with some very extraordinary stories. “I heard of Freedom Week through a friend of mine, who recommended applying for it and it turned out to be one of the best experiences of my life so far. Not only did I get the opportunity to meet incredibly talented speakers and discuss new ideas, but also to connect with like-minded people from all over Europe. 14.00 – 17.00: Arrival of Delegates and Registration. 09.00 – 10.30: Session 1 – Dr Steve Davies on "The History of Classic Liberalism"
13.30 – 14.00: Free Time. 14.00 – 15.30: Session 3 – Kate Andrews on "The Gender Pay Gap"
16.00 – 17.30: Session 4 – Professor Mark Pennington on "Public Choice"
09.00 – 10.30: Session 5 – Dr Craig Smith on "The Importance of Adam Smith"
11.00 – 12.30: Session 6 – Sam Bowman on "The Economics of Immigration"
09.00 – 10.30: Session 7 – Professor Emily Skarbek on "Civil Society and the Samaritan's Dilemma"
11.00 – 12.30: Session 8 – Tom Clougherty on "The Tax Debate"
14.00 – 15.30: Session 9 – Professor Anthony Evans on "Free Market Monetary Theory"
16.00 – 17.30: Session 10 – Professor David Skarbek on “Mass Incarceration, Prison Gangs, and Implications for Prison Policy"
09.00 – 10.30: Session 11 – Professor Anthony Evans on "Competition and the Market Process"
14.00 – 15.30: Session 13 – Christopher Snowdon on "Sin Taxes & Punishing the Poor"
16.00 – 17.30: Session 14 – Dr Steve Davies on "Prospects for Liberty in the Twenty-First Century"